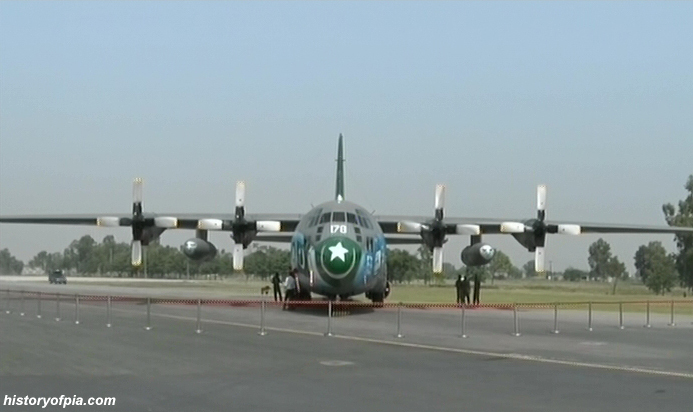 Pakistan Army Aviation Mushshak aircraft rehearsing/practicing flypast/aerobatics over Lahore for September 6 - Pakistan Defence Day celebrations photographed on August 30, 2018. 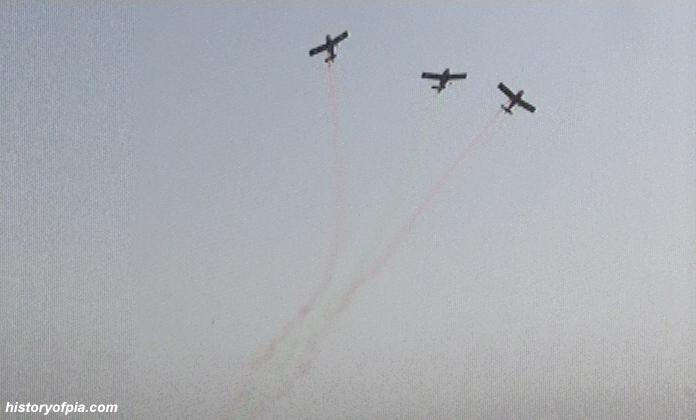 Aerobatics rehearsal by Pakistan Army Aviation Mushshak aircraft over Army Stadium/Karnal Sher Khan Stadium in Peshawar on September 5. 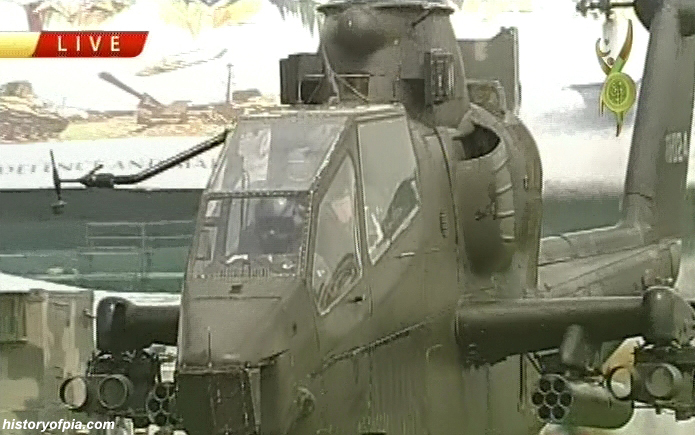 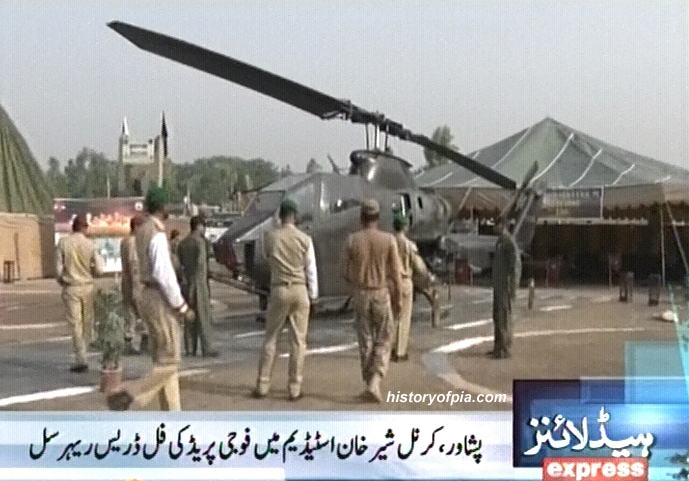 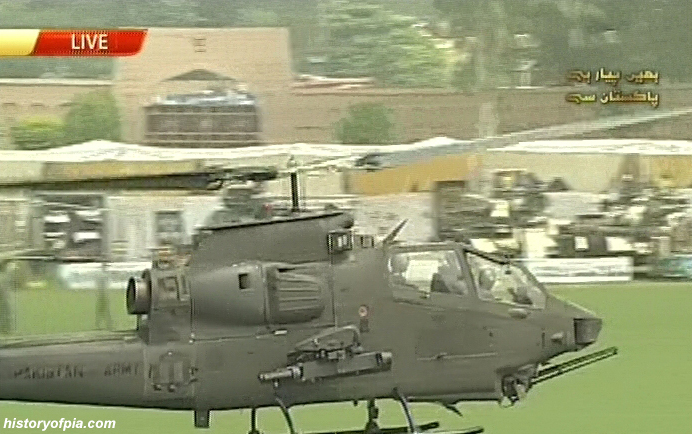 Pakistan Army Bell AH-1 Cobra attack helicopter on static display at Army Stadium/Karnal Sher Khan Stadium in Peshawar on September 5. 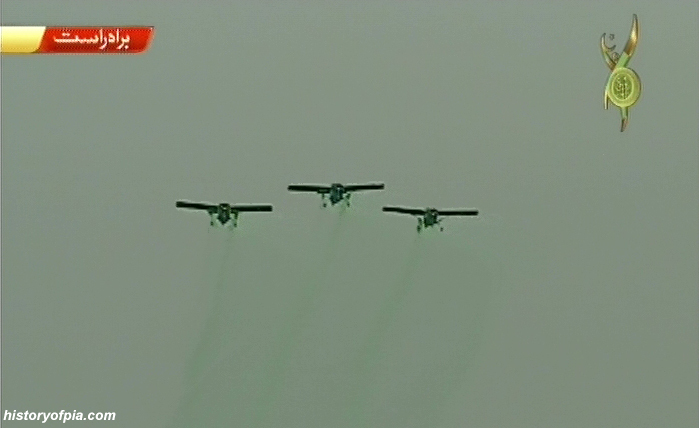 Formation of three Pakistan Army Mushshak aircraft. 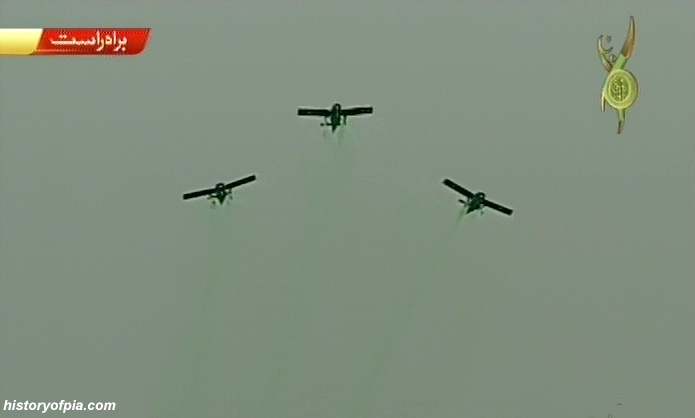 Formation of three Pakistan Army Mushshak aircraft performing bomb burst maneuver. 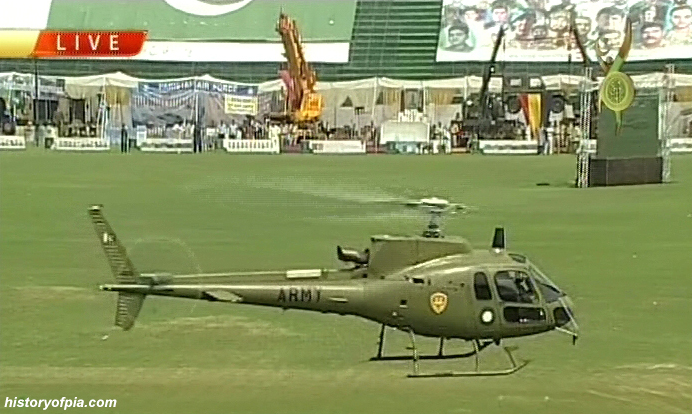 Pakistan Army Eurocopter AS350B-3 Ecureuil helicopter serial number 803. 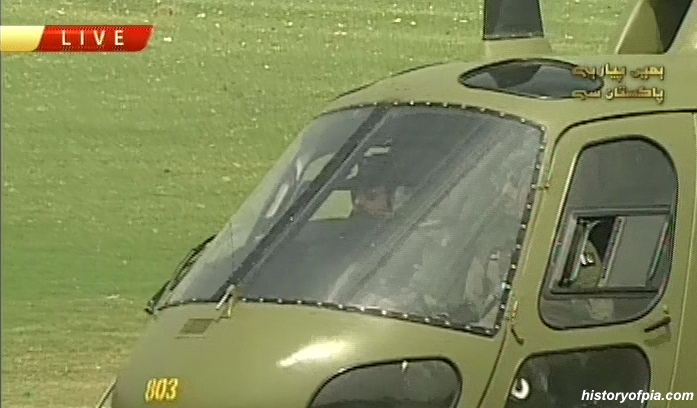 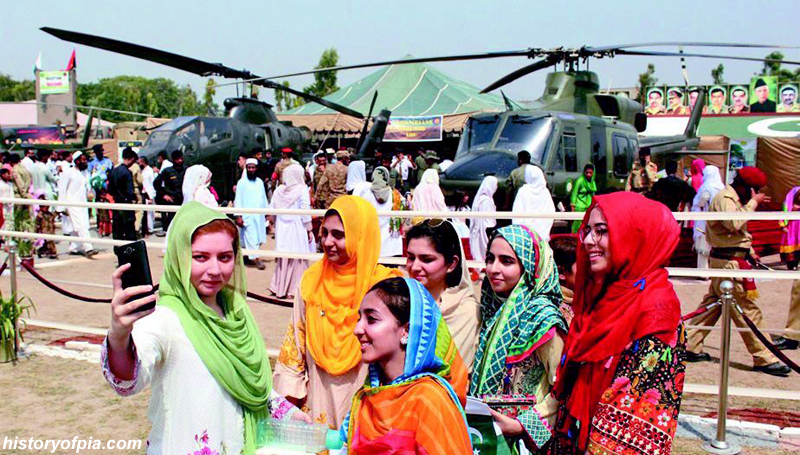 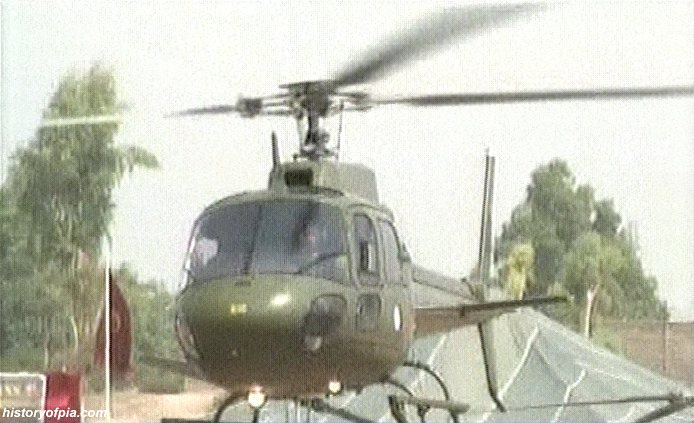 Pakistan Army Eurocopter AS350B-3 Ecureuil helicopter. 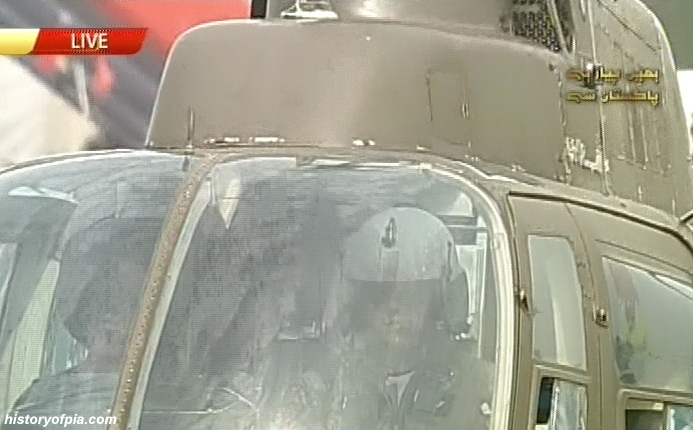 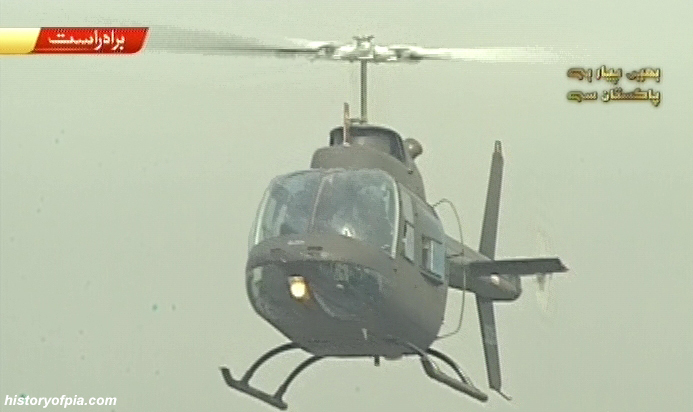 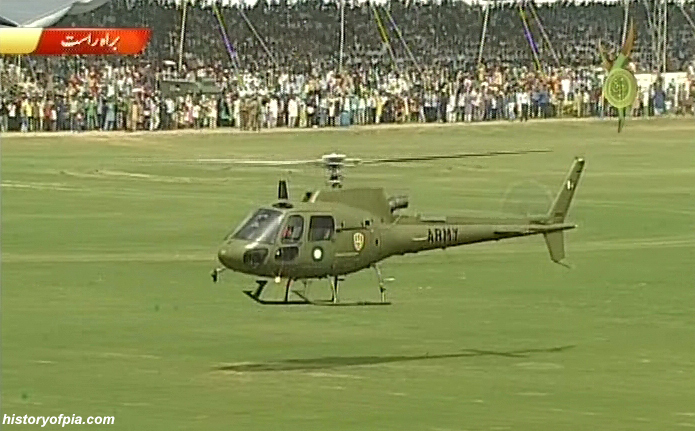 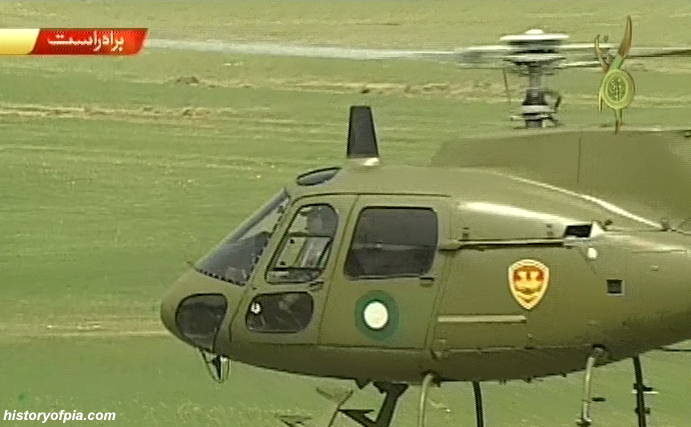 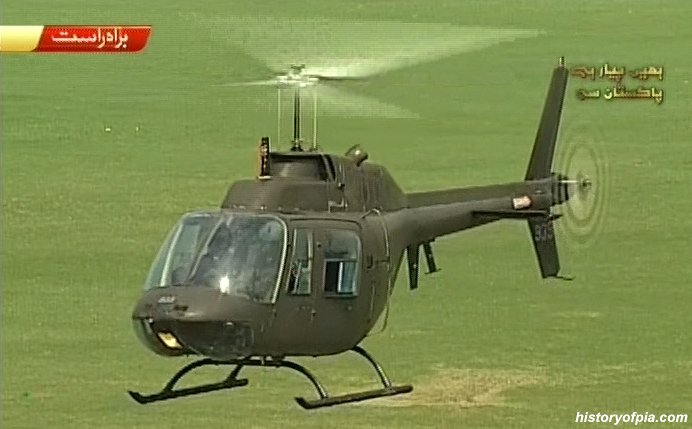 Pakistan Army Bell 206 JetRanger helicopter. 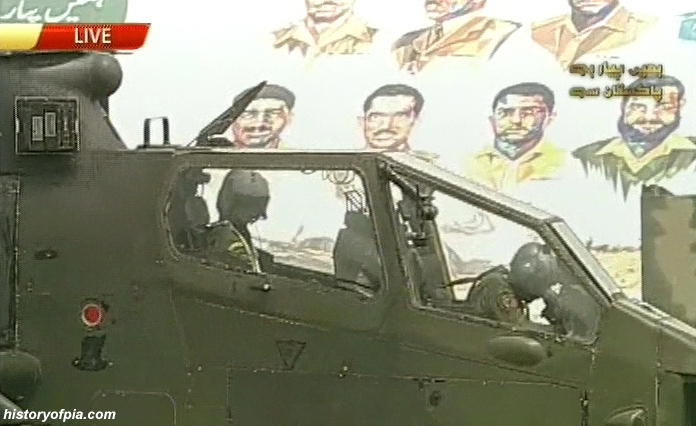 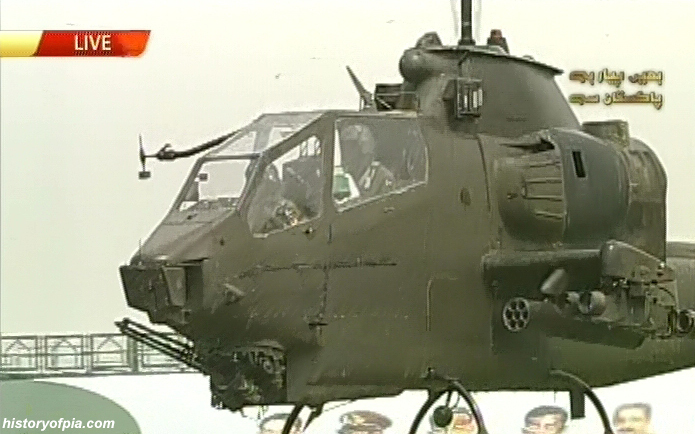 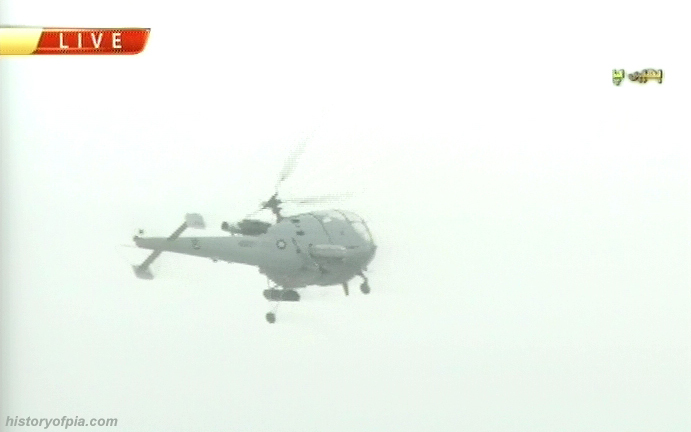 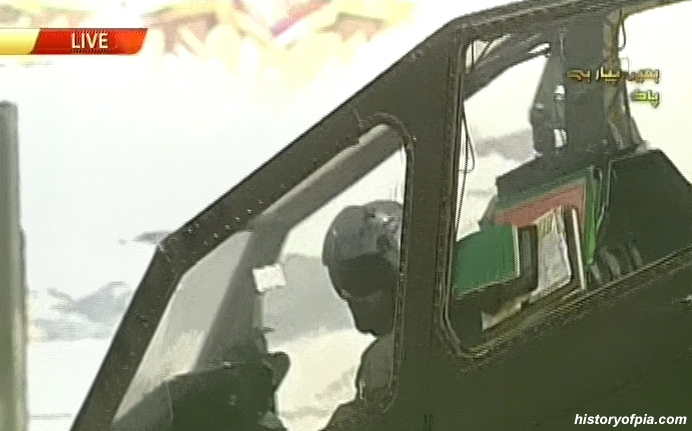 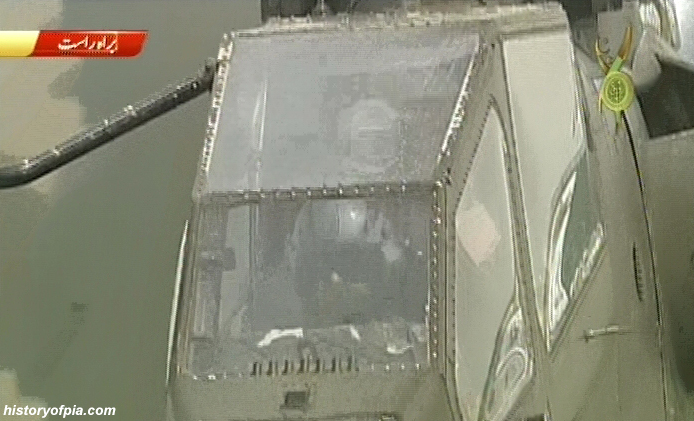 Pakistan Army Bell AH-1 Cobra (serial number 786-024) attack helicopter. 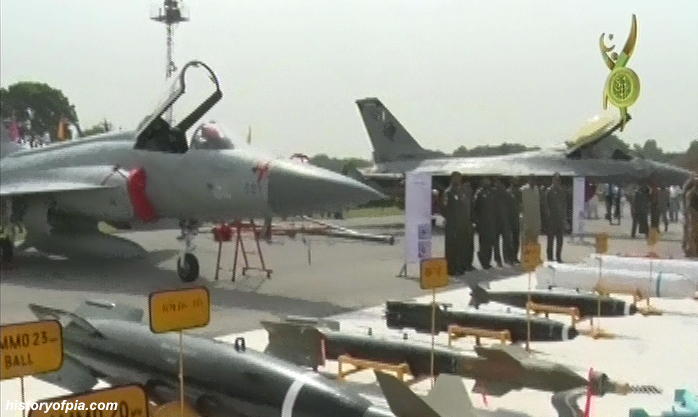 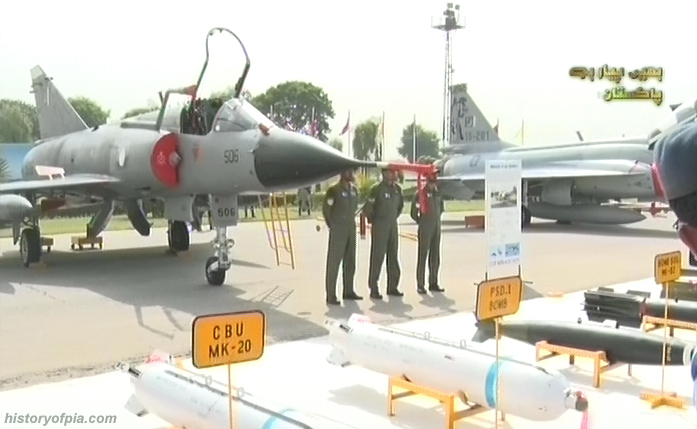 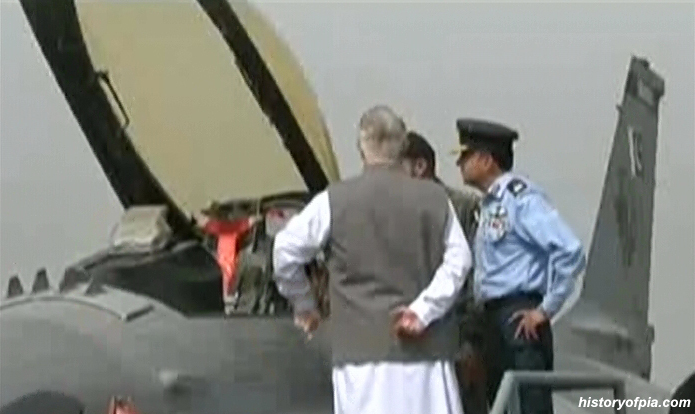 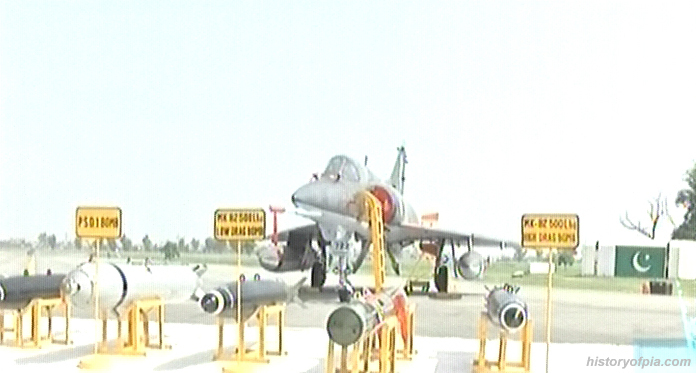 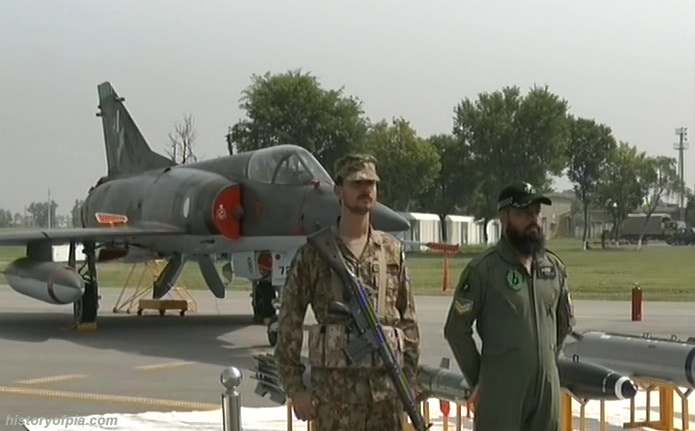 PAF JF-17 Thunder (serial number 13-144) and Mirage III combat aircraft on static display. 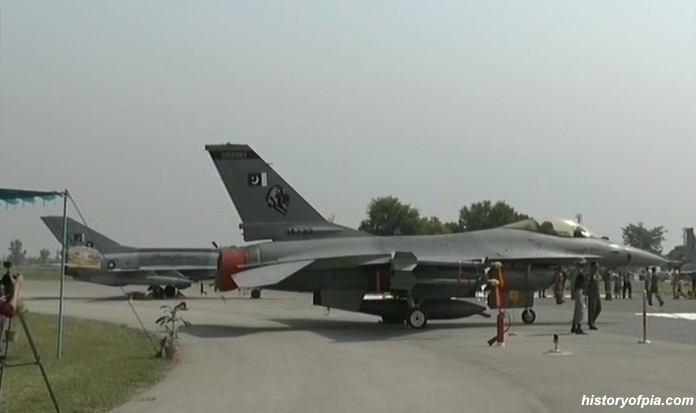 The JF-17 vertical stabilizer is sporting markings of PAF No. 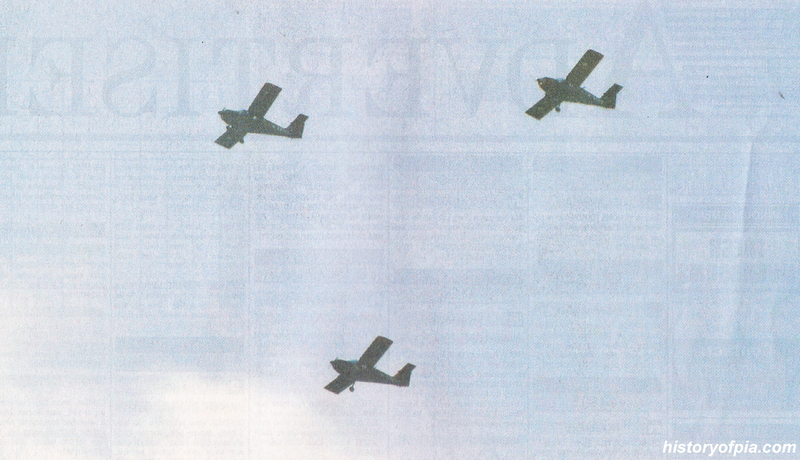 2 "Minhas" Squadron. 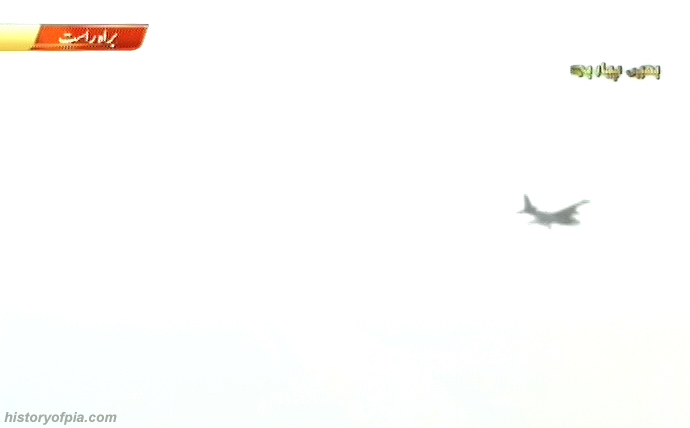 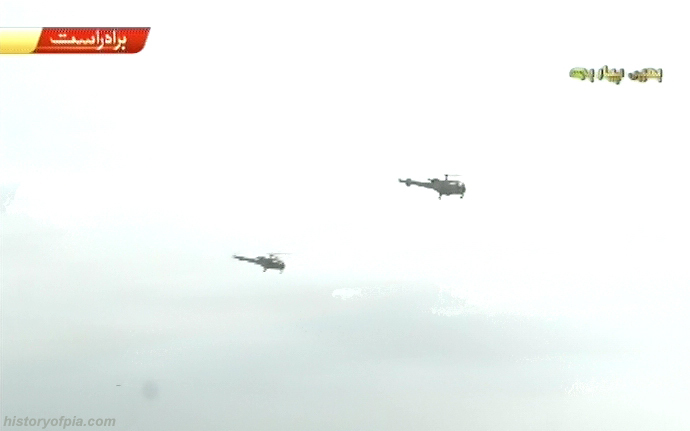 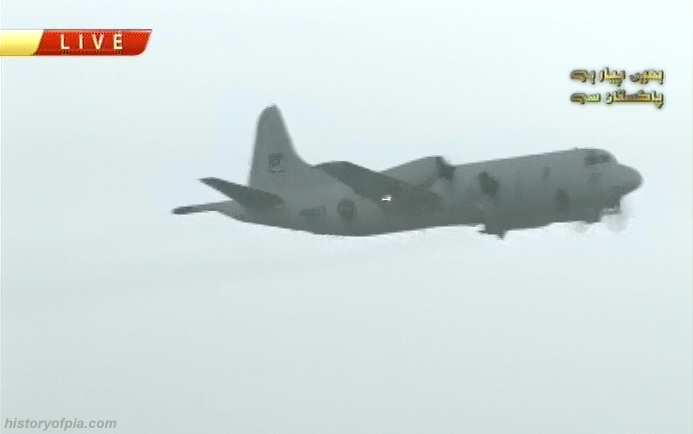 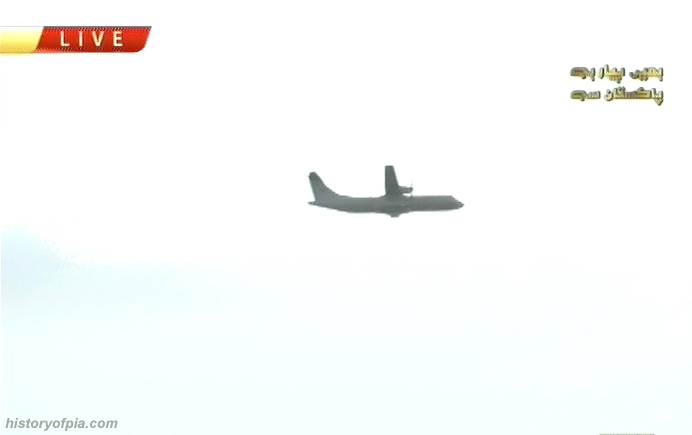 Camera work was not good for flypast coverage. 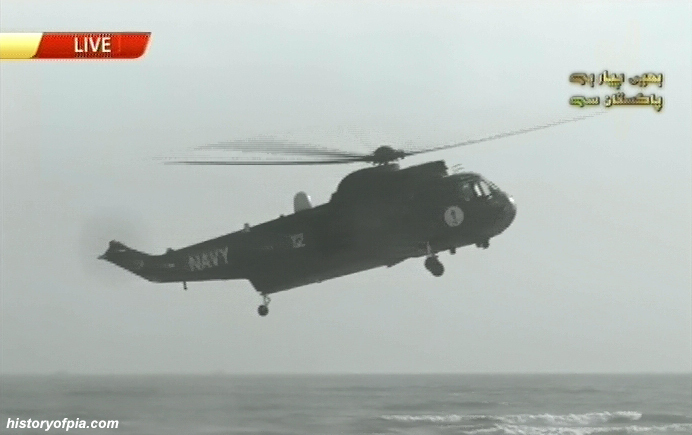 Pakistan Maritime Security Agency (PMSA) Britten-Norman Defender. 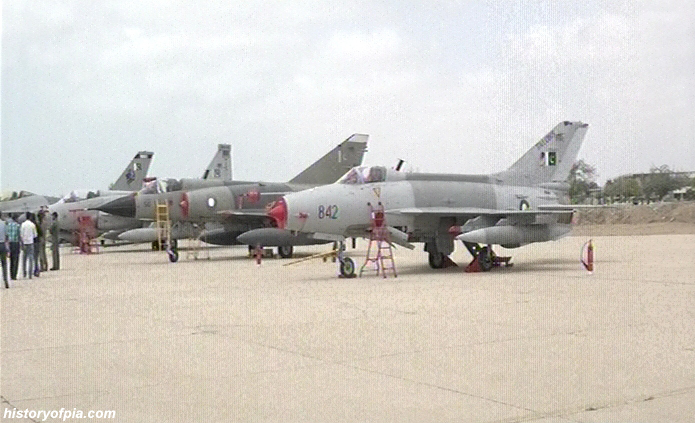 PAF F-7PG Skybolt, JF-17 Thunder, Mirage III and F-16 Fighting Falcon on static display. 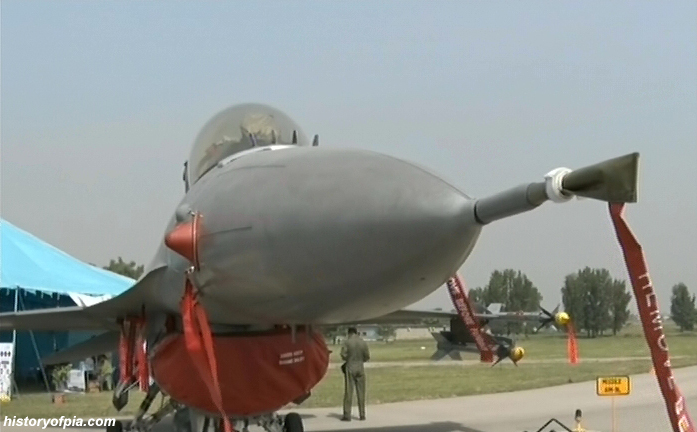 F-16 Fighting Falcon on static display. 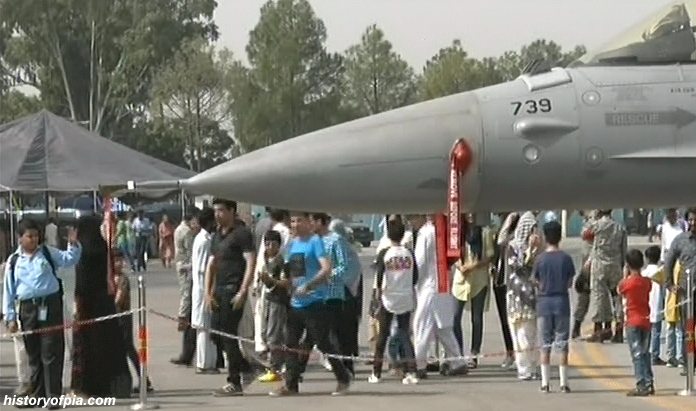 Mirage V on static display. 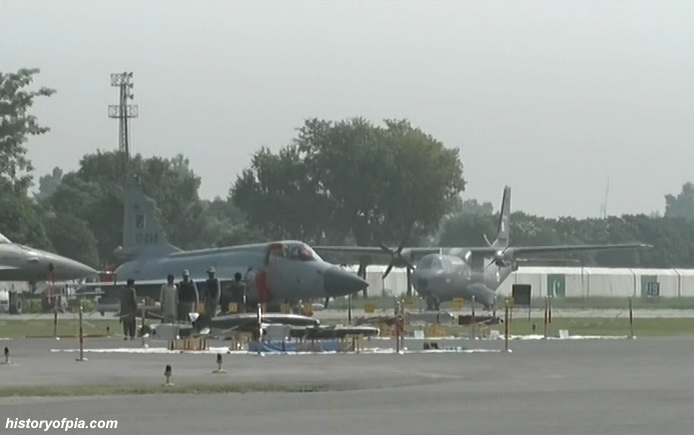 F-7 Skybolt, Mirage, JF-17 Thunder and F-16 Fighting Falcon on static display. 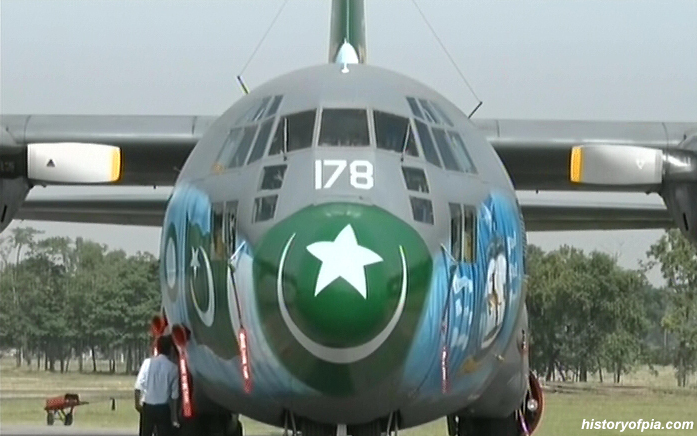 PAF Lockheed C-130E Hercules (4178). 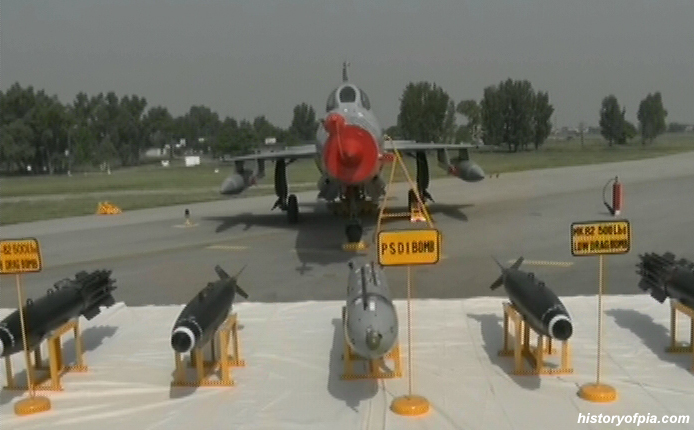 PAF F-16 Fighting Falcon (14739) and F-7PG Skybolt (93-722). 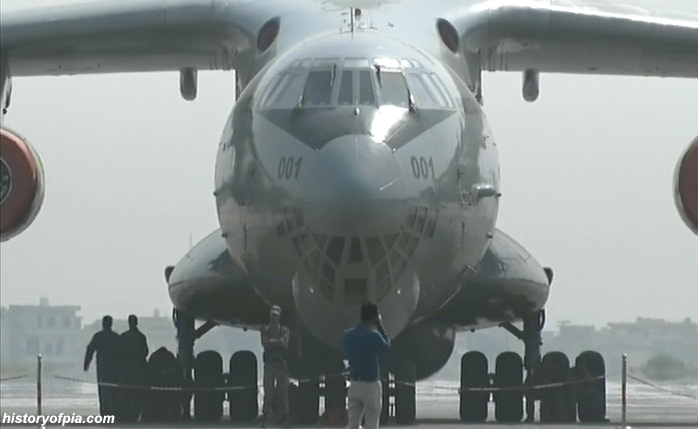 PAF Ilyushin Il-78MP Multi-Role Tanker Transport (MRTT). 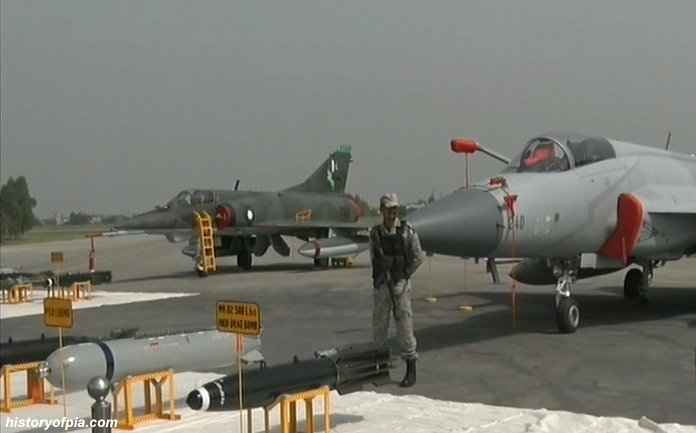 Mirage V and JF-17 Thunder. 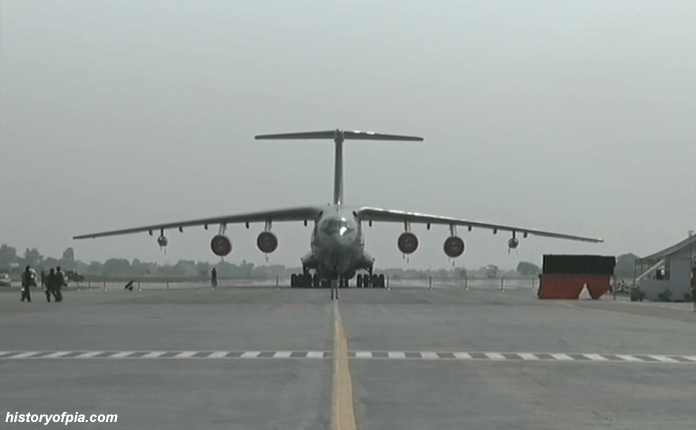 PAF Ilyushin Il-78MP Multi-Role Tanker Transport (MRTT) aircraft serial number R09-001. 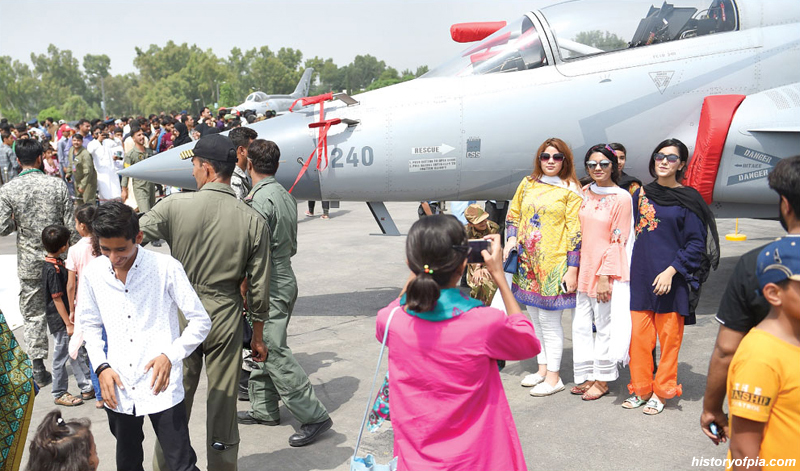 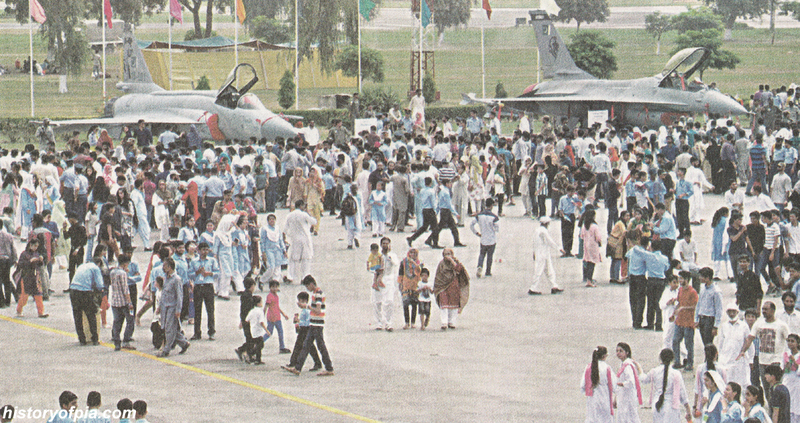 JF-17 Thunder and F-16 Fighting Falcon at PAF Base Lahore air show attended by a large number of schoolchildren. 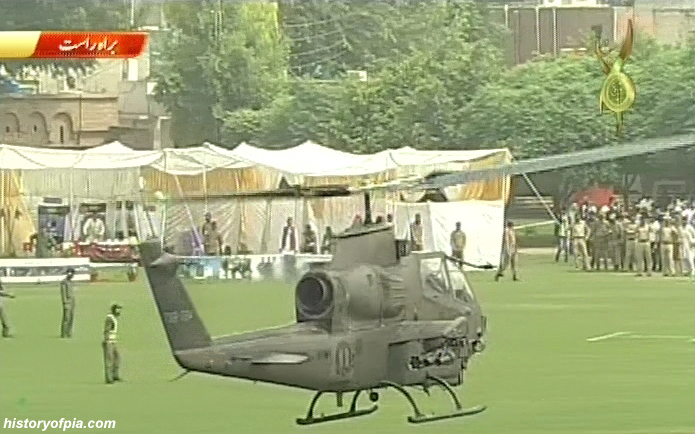 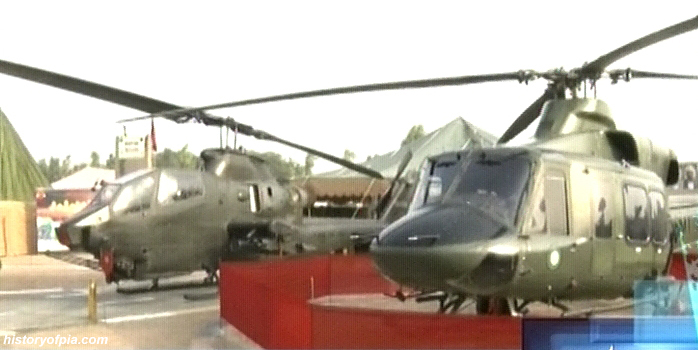 Pakistan Army Bell AH-1 Cobra and Bell 412EP helicopters. 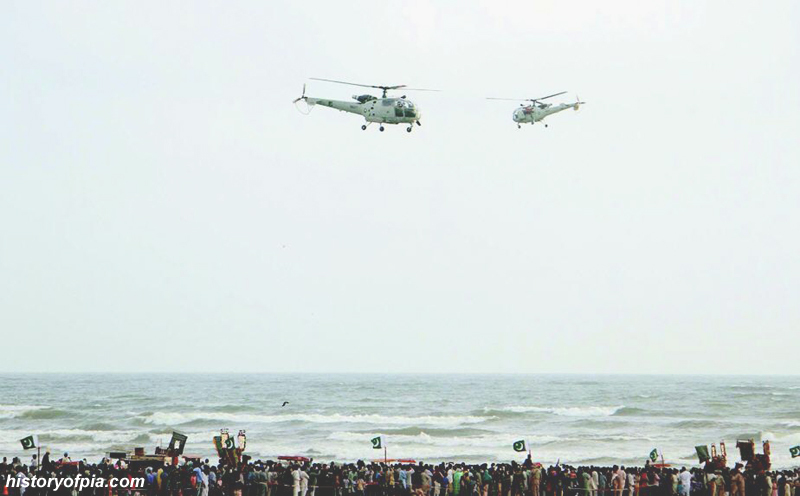 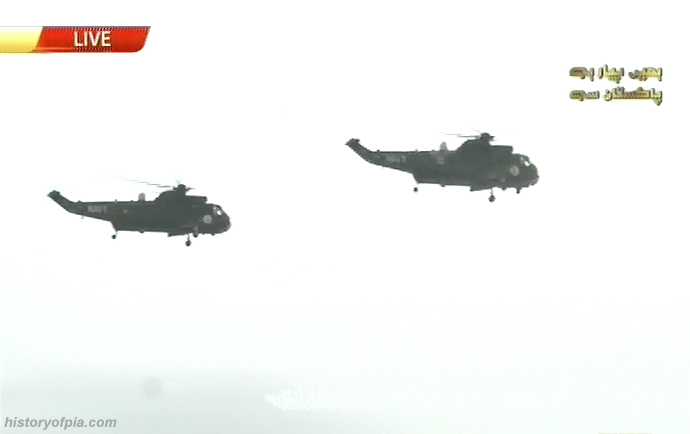 Pakistan Navy Alouette III helicopters. 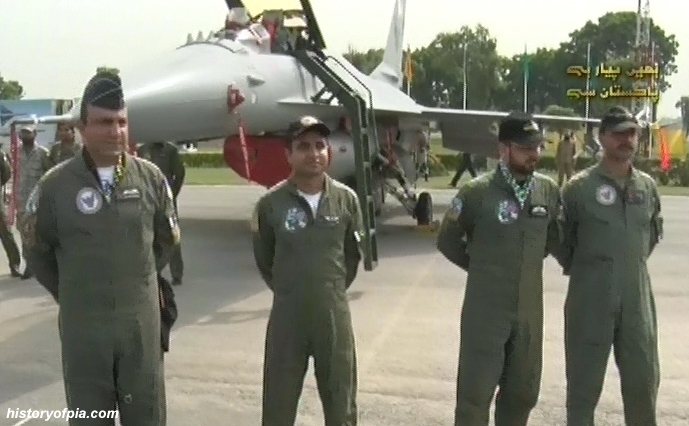 Abbas, the JF-17 belongs to newly raised No.28 squadron (Phoenix) that is one of resident units of the base. 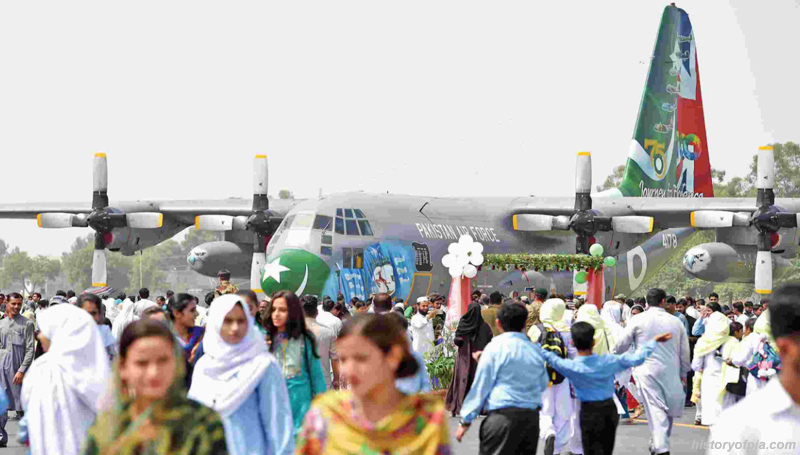 ^ Thank you Haroon for correction.